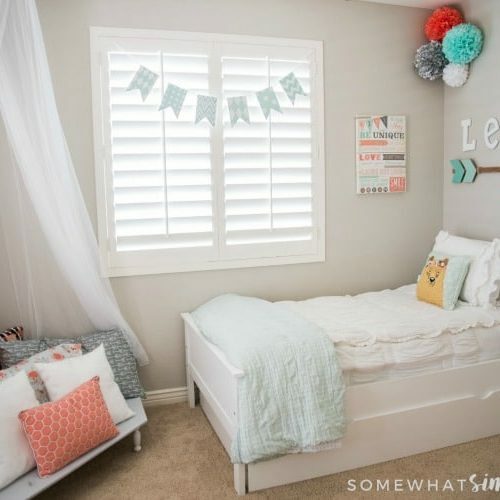 When you’re faced with a home decor project, no matter the size, it isn’t always easy to envision what you’ll need to complete it, nor is it easy to stay motivated from start to finish. 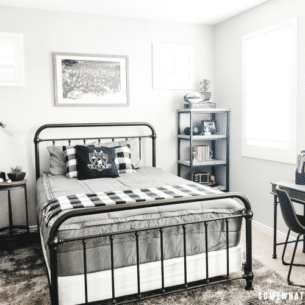 So before you get overwhelmed or bite off more than you can chew, we have a few tips on what you might want to consider to create a stylish space! 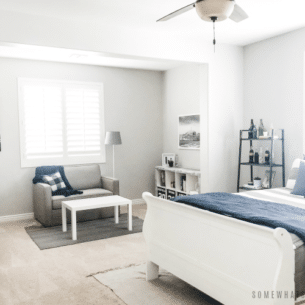 When it came to the design of our dining room, we started with the blank slate of wood tile flooring and gray wall paint that we chose when we built this home 2 years ago. We then chose a table and 8 chairs that fit the space well, but after that, we were stuck. We didn’t have an end game and we had no idea where to go from there. It’s easier than you may think to create a mood board- and you don’t need fancy software to do it! You can create a board around one or two things- start with a rug, a piece of art, paint color, curtains, etc. then build everything around that one/two things! Make sure you have different textures and patterns. My neutral-loving heart always adds color with wood tones and faux plants, but I’ve been on a navy kick lately and decided to pull in some blues with a rug, artwork and striped linens. Next, think about your problem areas. If your space is small, consider smaller furniture with straight lines to maximize the space. 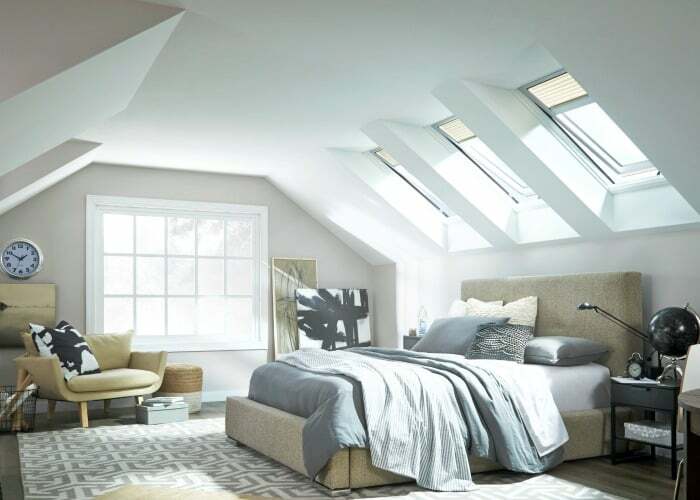 When you have a dark room, add more light with bigger fixtures and lamps, OR add extra natural light with VELUX No Leak Solar Powered Fresh Air Skylights. It seriously makes our clean + simple hearts burst! 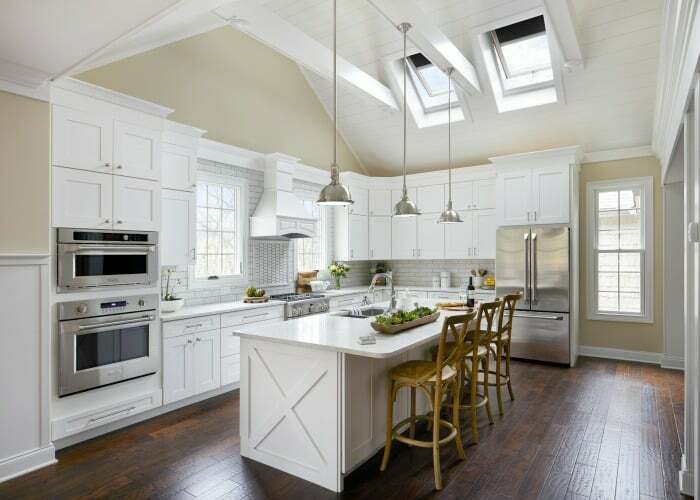 The natural light from above provides a balanced light throughout the room. Velux also offers over 80 colors and patterns of Solar Powered skylight blinds, so you can block the light when needed with blinds that have a fun design or provide a pop of color. When retracted you can’t even tell the skylight has blinds, which is a totally cool design feature, if you ask me! Find a skylight installer in your area to help answer all your skylight questions! 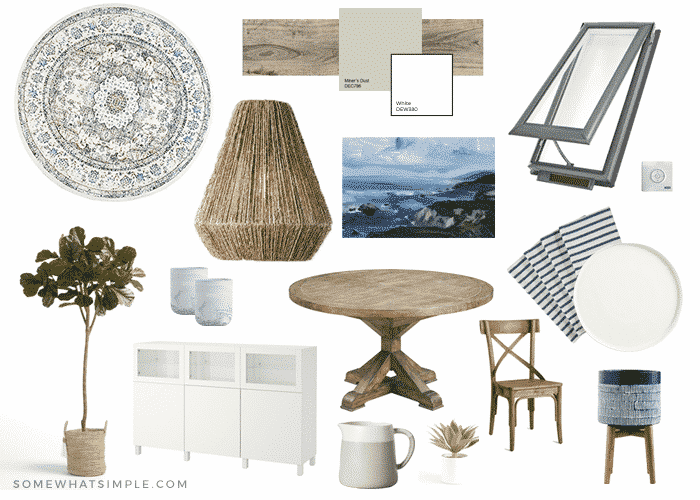 Show them your mood board, and they’ll help create the perfect feel to your next home improvement project! VELUX wants to help make your dream room renovation come true with a fun little giveaway! 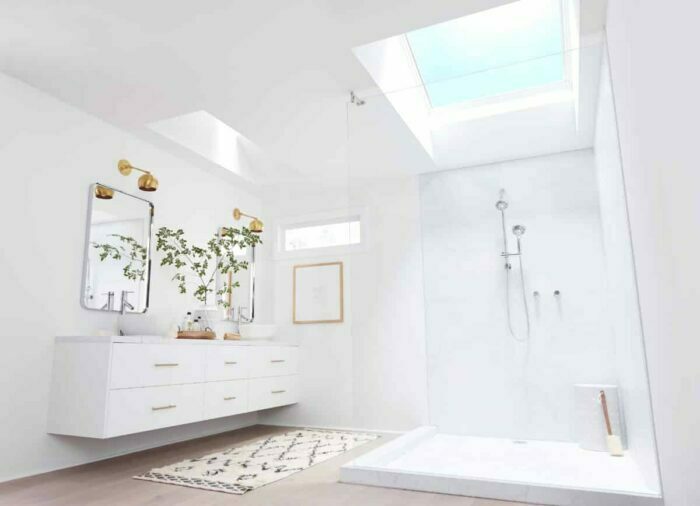 One Grand Prize Winner will win an awesome prize package, valued at $5,000, which includes the installation of two VELUX No Leak Solar Powered Fresh Air Skylights with Solar Powered Blinds! ENTER HERE! NO PURCHASE NECESSARY. Void where prohibited. Ends on 3/6/19. Open to legal residents of U.S./D/C,18+ and who own their own home. Official Rules. Once you have your mood board created and your budget set, have fun shopping, decorating, and bringing everything to life! We can’t wait to show you our finished dining room – stay tuned!!! This post is sponsored by Velux Skylights. All text and opinions are 100% our own. 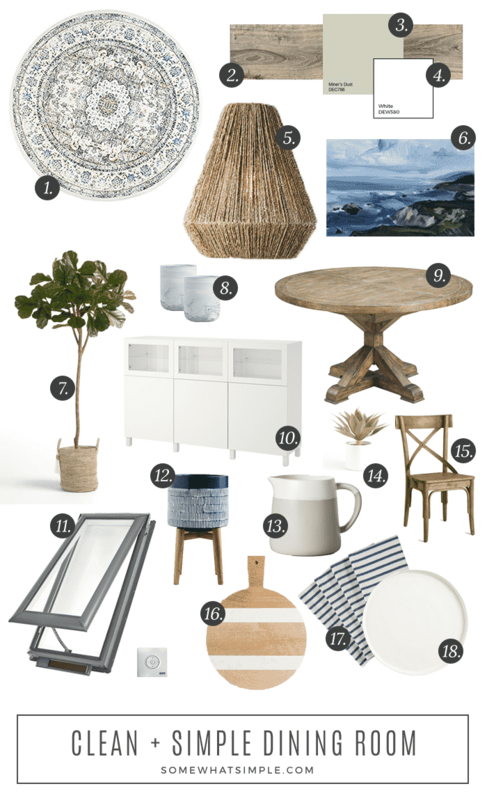 I am definitely going to start working on my mood board, maybe this will help me get out of the rut I am in when it comes to enhancing the decor in my living space. Thank you for this golden tip! You’re so welcome! Best of luck, I’m sure whatever you decide will look amazing!